…then you’re not a baseball fan or you’re not American…or you just don’t care. I do, though! On October 29, 2014, my home team, the San Francisco Giants won their third World Championship in FIVE – 5 – years! Go Giants!! 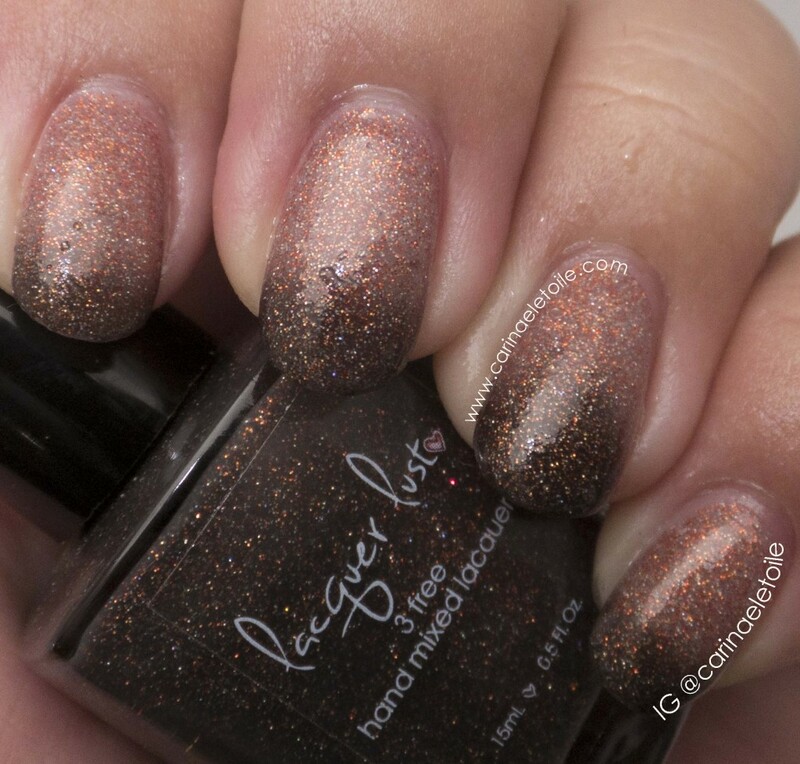 So in that theme, Lacquer Lust is a huuuuge Giants fan – did you know that? I didn’t! 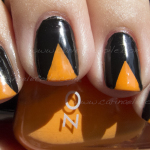 Then I saw this on her site a few weeks ago: Orange October. Orange October? Q’est-ce que c’est?! Why…I’ll be colored in orange as a surprise! This polish is dedicated to the San Francisco Giants to celebrate them making it to the World Series for the 3rd time in 5 years. 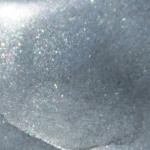 Black jelly thermal goes from black when cool to clear when warm with orange and iridescent micro glitters and a pinch of holo. Below I used three coats for this and found that this shade of orange glitter complemented my skin tone quite well. This dried in record time and I’ve been wearing it ever since. Shipping Policy: Domestic only, but International Shoppers, check her list of stockists. This color is definitely more pronounced in person. In the shots below it looks so refined! 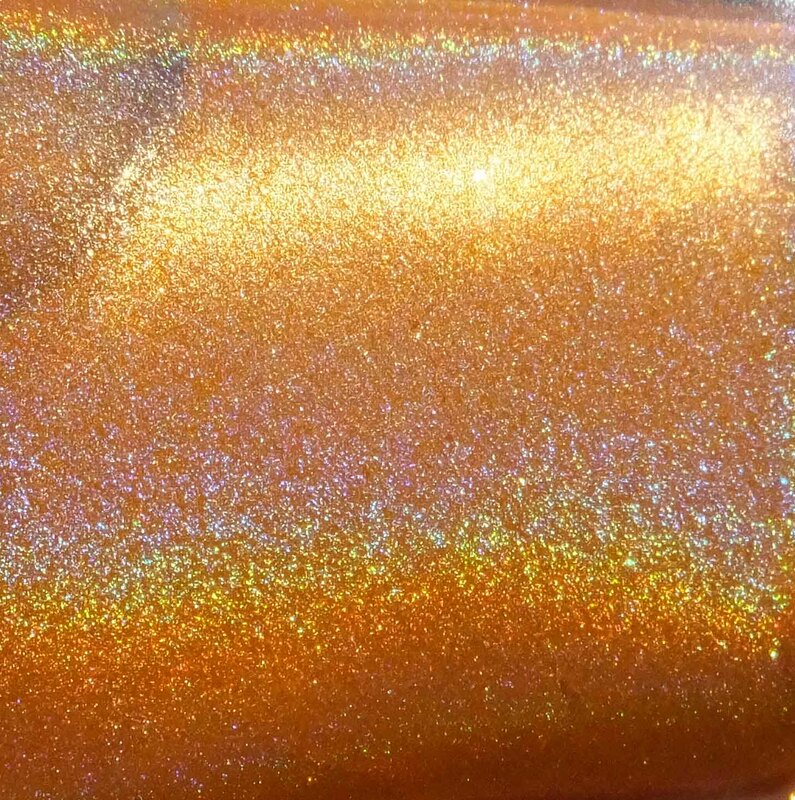 Lacquer Lust Orange October – Diffused Light. I tend to run very warm, so thermals don’t really show up on me too well…plus, I have super tiny pea-sized nailbeds and thermals can’t show their full range. I dunked my hand into some cold water to get a better color-change effect. Sorry for the water splotches all over my nails and fingers. Direct Light washed this out a bit, but you can see the thermal coloring better in this shot. As a Giants fan, I think this color is a must-have! It commemorates a third win and is quite stylish, too. Thank you! It is even more pretty in person. I’m considering getting a back-up of this.